A variety of custom etched magnums of 2015 ARTEMIS Cabernet Sauvignon, Napa Valley are now available for purchase. 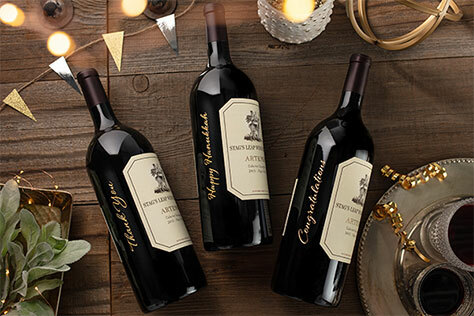 These special edition bottles are sure to impress as centerpieces, host gifts, or rare editions to your cellar. Extremely limited quantities are available.